I don’t always care about popular topics because they usually fade fast. 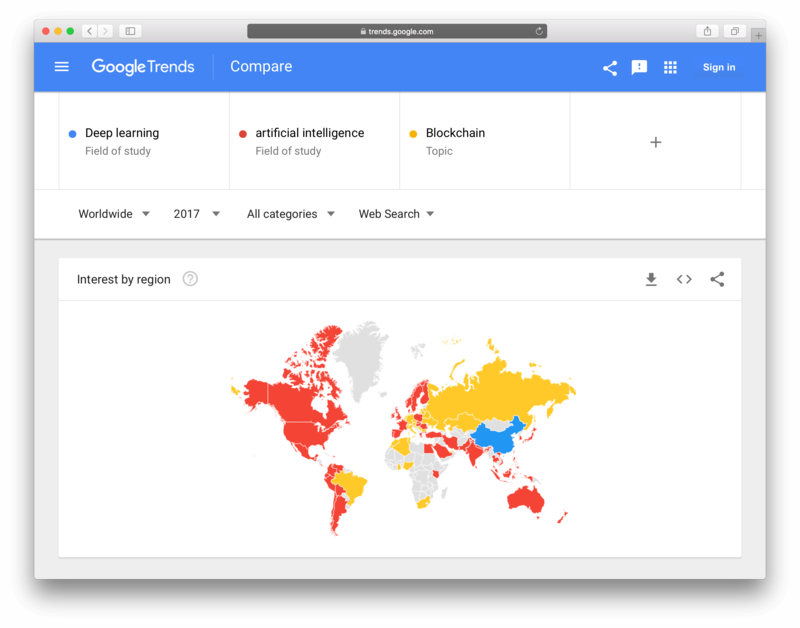 But when I do, here is a 2017 world interest map for deep learning, artificial intelligence, and blockchain (courtesy of Google Trends, where you can reproduce it). Figure: Google Trends — comparing the search traffic in 2017.